In recent years, publishers have begun to offer more Hanukkah books depicting the diversity of Jewish families. We have a wonderful list of diverse Hanukkah books for you, but first a few facts about the holiday. The dates of Hanukkah change each year on the Western calendar, falling in November or December. That’s because Hanukkah takes place 25 Kislev to 2 Tevet on the Jewish calendar, which is lunar instead of solar. Hanukkah commemorates the rededication of the Second Temple in Jerusalem in 165 BCE by the Maccabees, following their victory over the Syrians under Antiochus IV, who had forbade the practice of Judaism. There are two miracles associated with Hanukkah: (1) when the Maccabees rededicated the temple, they only had enough oil to light the holy lamp for one day but it lasted for eight days, giving time for more oil to be procured; (2) the small Maccabee army overcoming the greater Syrian forces is also considered a miracle. Traditions associated with Hanukkah include lighting the menorah or hanukkiah, eating foods fried in oil (latkes, jelly donuts), giving “gelt” (money – real or chocolate) as a treat to children, and playing dreidel (a spinning top). A menorah is a candelabrum; a hanukkiah is specifically a nine-branched candelabrum used at Hanukkah. There is one candle (or oil lamp) for each night of the holiday, plus one shamash or “helper candle” that lights the others. Because the name of the holiday is transliterated from the Hebrew alphabet, there are many ways to spell it in English: Hanukkah and Chanukah are the most common, but as long as it’s phonetic there’s really no wrong way to spell it. Hanukkah is also known as the Festival of Lights (because of the menorah). Interestingly, the Hindu and Sikh holiday of Diwali is also known as the Festival of Lights. Hanukkah is a minor wintertime Jewish holiday that has become popular because it offers an alternative to the overwhelming glitz surrounding the Christmas season. For this reason, there are far more Hanukkah books than books for more important Jewish holidays such as Rosh Hashanah or even the weekly Shabbat. 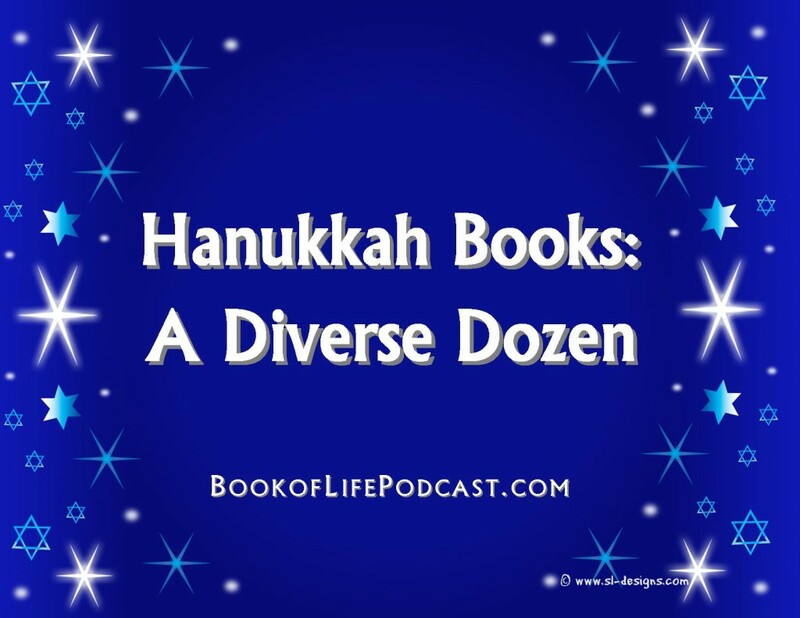 This abundance allows for a fair amount of diversity among Hanukkah books. “Non-diverse” titles would be those that portray white, Ashkenazi (European heritage) Jews celebrating the holiday. Examples include I Have a Little Dreidel by Maxie Baum, The Borrowed Hanukkah Latkes by Linda Glaser, the classic Hershel and the Hanukkah Goblins by Eric Kimmel, and Eight Winter Nights by Laura Krauss Melmed. These are excellent stories, but they represent only a segment of the Jewish population. In recent years, publishers have begun to supply more titles that depict Hanukkah celebrations among Sephardic Jews (families from Spain, Portugal, North Africa and the Middle East), Jews of different races, Jews of varying abilities, and even interfaith families. You pick the book – any reading level, fiction or nonfiction, Jewish in any way you choose to define it. Review your book anywhere online: on a blog, GoodReads, Amazon, Facebook, Twitter, YouTube, etc. Use the hashtag #Readukkah somewhere in your review to help readers find you! By sharing your #Readukkah reviews of Jewish books, you will help spread the word about worthwhile titles, bringing them to the attention of more readers, increasing the market and supporting the publishing of Jewish books! Click here for more info about how to participate! 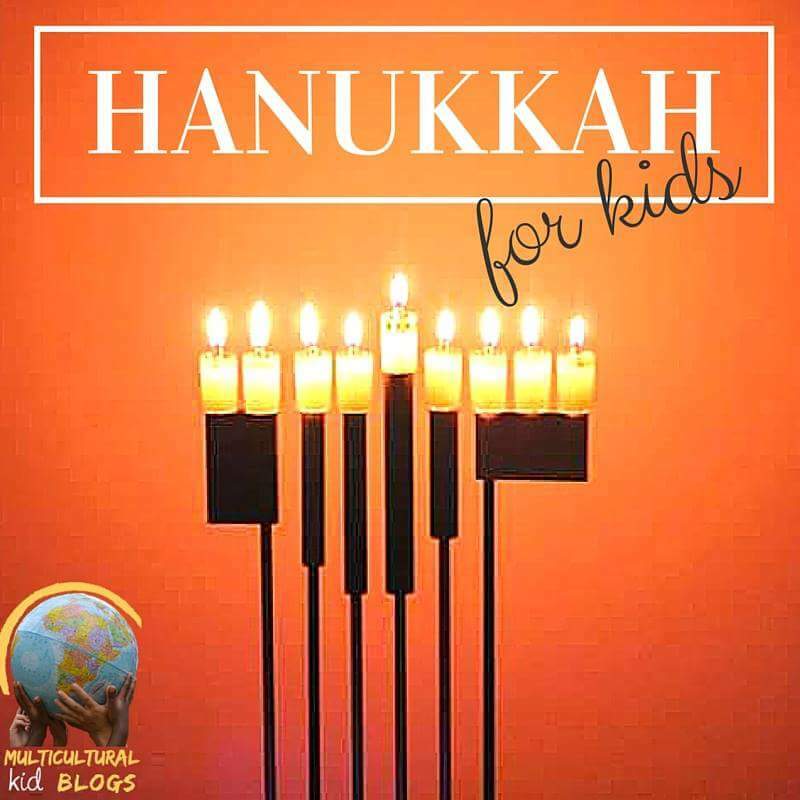 This post is part of our Hanukkah for Kids series. Visit our main page for more ideas on celebrating the Jewish Festival of Lights with kids and link up your own posts! Great list. Our very favorite Hanukkah book is the Chanukkah guest. My kids have loved that book since preschool and still love it as teens. We particularly love Nathan Blows Out the Hanukkah Candles. Part of what I think makes the book so great is the evolution of emotions in the main character, Jacob–the way he goes from being horrified and angry to having a bit calmer but still unhappy reaction to sticking up for his brother when a new friend teases him. I also want to mention Patricia Polacco’s The Trees of the Dancing Goats, which feels like a classic. A family celebrating Hanukkah helps another family that gets very ill at Christmas time. Not exactly in the Interfaith category, but a very nice story about honoring others’ traditions, and it is so interesting to have a peek at this season during a different time period.